The Apostle Paul was the first theologian precisely because he was the first missionary. Although we can notice the theological development of his message, the gospel which Paul proclaimed did not change, but in each situation Paul applied the kernel of the message to a new context. His theology was always the biblical response to local situations. In other words, all theology should be a local product. The development of a local theology happens in at least three distinct stages. During the first stage, the missionary translates materials that he or she has brought from his or her own country. As a first step, there is no other option. While the new culture continues to be unknown, the translation of materials, which have produced good results in his or her passport culture, is the best that anyone can expect from the missionary. The missionary starts with the kernel of the gospel, which he or she supposes to be super-cultural, with the goal to peel back the outer layer of culture and find a situation pertinent in the culture to receive the message. Nevertheless, the foreigner makes various false suppositions. The first assumption is that the missionary can separate the kernel from the husk, liberating the message of the culture without harm to either. Second, the missionary assumes that cultures are structurally and even essentially the same. This leads to the idea that translation is an adequate method of communicating. The final assumption is that it is easy to understand the other culture. As a result, the effort to understand the new culture ends when the missionary thinks that he or she has come to understand it. Often, many years can pass before the culture that receives the missionary arrives at the same conclusion. The second stage begins as translation ends, and adaptation begins. Now the new church learns the methods of the missionary church and national leaders appear. All affirm the goal to disciple a national church that functions independently from missionary activity, but the church considers the student prepared when he or she has learned the theology translated in the first stage. Few mention the need to produce a local and indigenous theology. Frequently, the national leaders themselves are those that criticize any attempt to produce a contextualization of the theology. The theology that arises from this model mentions the categories, names, and concerns of the local culture but looks like the western church that sent the missionaries. What results is a theology that is easy to understand for the missionary but that does not always touch the pertinent themes of the local culture. The best of this stage is the indigenous church. The worst of this stage is the production of a church under the authority of national leaders with a doctrine, adequate for the missionary, but that does not direct itself at the fundamental questions of the local culture. 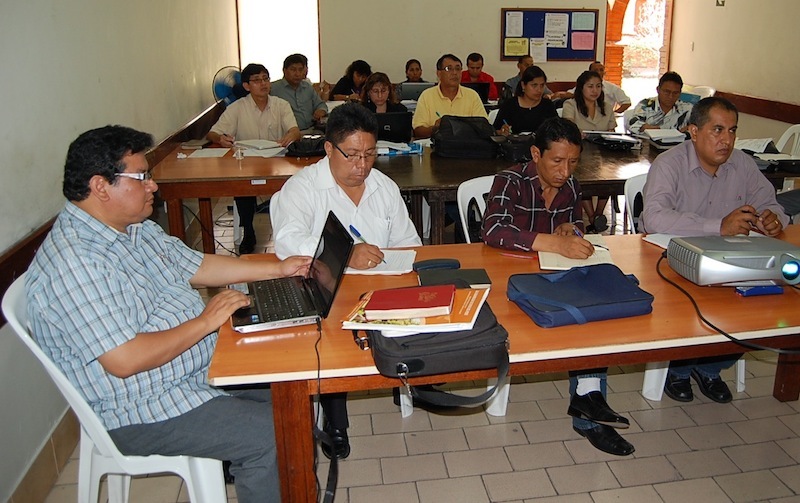 Instead of the development of an indigenous theology, the new church looks for the way to make itself competent in the academic context of the church of the missionary. Figuratively, they desire a chair at the academic table of the church that sent them missionaries, but even though they are given a seat, the table remains the property of the missionary culture. 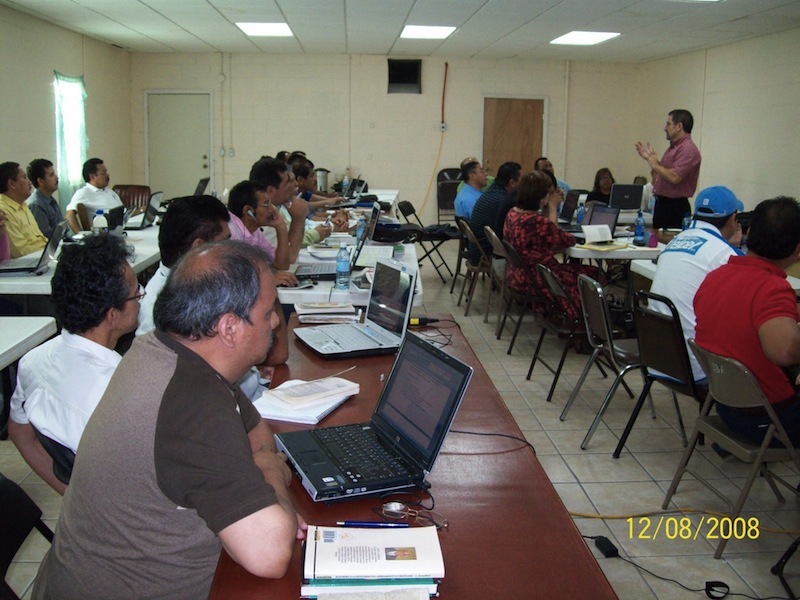 It is now common to meet Developing World theologians. However, they are obliged to participate in a theological conversation of a foreign origin, and a foreign methodology. They now have a seat at the table, but often their only participation is as the expert theologian of Latin, African, or Asian subjects. What is convenient about this is that now, all of the theologians speak the same language and for the missionary it is easier to understand, but, although there is an attempt to produce a local theology, it is expressed in terms imposed from outside. In Latin America, missionaries have handed over the keys of the institutions and the forms of ministry to the national leadership. In this sense, they have fulfilled the goal of the indigenous church. Nevertheless, in many national movements tradition is very important. To change something that the founders of the church taught or established is almost heresy. We might add something to the current models, but taking away something is generally negative. I am concerned that we have only handed over the keys. The forms are still foreign. The theology is not indigenous; it is foreign and from another century. We have not yet reached the third stage. I wonder, is now the time for us to allow the church to read the Scriptures for themselves? Is it possible for us to change our theology from that of a closed system to be memorized to that of a dynamic one that maintains the integrity of its message but touches the pertinent themes of the culture to which it speaks? Thanks for the very thought-provoking article. I read it twice and would appreciate your help understanding the three stages. It may be a “trees for the forest” thing, but I can’t figure what the third stage is. Also, could you give an applied example that you’ve seen of the three stages? Great article! Your love for the Mexicanos really comes through. I would love to hear you write further about a methodology towards the goal you are suggesting. Great thoughts! The idea of the developing of the indigenous church as a principle has so much depth to it that I still feel like we are only scratching the surface. Self-theologizing is absolutely a key indigenous principle. The Australian A/G teaches in their mission training that a great deal of sin is culturally defined. Theft for example is a very grey issue since in some cultures property/ things don’t belong to individuals but the community. In many cultures ‘Hoarding’ is a sin when someone else is in need, yet we as a western culture can’t bring ourselves to go that far with a culture so engrained with materialism. Jesus had the advantage on us with creating an indigenous church by being born into the culture. We have to do it after we have built up a world-view different from our host culture. Add to it that we come from a very self-confident and self-sufficient culture. It makes it very difficult for us to encourage the students to question the truths we teach them (not to mention the reverence for the teacher). I question whether we have to teach our ‘truths’ as infallible as a first step in order to ingrain the practice of those truths or might we be able teach the truths while teaching the students that those truths are still wrapped in the missionary worldview? Is there a way to shortcut the process and start the host culture as self-theologizing from the get-go? It sure would cut a lot of development time out of the process especially with the reluctance of the host culture to deal with the ‘sacred cow’ issues they may have received or misinterpretted from the missionary. But if it could be done, what would it look like? Rod – the third stage is alternatively called Local Theology, Contextualization or even inculturation. An example of the three levels? This is not specific but might help. Level 1 would be doing ministry as we have arrived understanding it. Level 2 would be taking a national with you and after modeling having them do it also. Level 3 would be finding a national who was doing ministry and asking if you could accompany him or her. Eugene – if I ever get my dissertation done, I might have something specific to write. In the meantime, I am desperate to hear what Mexican theology will sound like. I once taught a Facultad course where we tried to do theology. It was VERY painful. Theology remains a noun. It is a book we give to students. Yet theology is also a verb. Mark – I am not sure you can shortcut the process. (I need to add that I am in no way menospreciando the work of the pioneers) The missionary arrives, despite good intentions and a desire to identify, locked into his or her home culture. Early missionary efforts have a very hard time being contextual. The second stage by necessity must be the new national church doing what the missionaries have done. Perhaps if missionaries began to talk about contextualization before the forms became set in stone the process might speed up. With regard to infallible teaching, I think anyone who has taught Theology in Latin America realizes that much of what we deliver to the students is of no importance to them. It is too easy to write off their indifference to poor study habits. I will adapt Van Hoozer’s question for the context where I live, is it necessary that a Mexican become a Greek before he can become a Christian? Issues like immutability – a category that has strong ties to Greek philosophy, while having Biblical support, are not of great importance to most Latins. Finally, remember that the church took three plus centuries and the threat of virulent heresy to finally formulate the doctrines of the major church councils. Great article. Still many questions, but worth thinking about. Reminds me of the dispensationalist and covenantal theology rift or the Calvinist and Arminian division. Which was your heritage? Where did you study? What was your church background? These factors help you decide your theology. We are not free ourselves of our theological traditions. Perhaps we should search for different theological models (such as Promise, Covenant, Dispensationalist, Biblical) and decide for ourselves which one we like? Perhaps the national church needs to do the same? We will for sure arrive at different choices of what seems correct to us, and our culture will guide us in our position.